We're live-blogging the Election, complete with Chuck Todd's Widget!!! Look below the map for bloggage. "Just saw Chuck Todd at Rockefeller Plaza." It's official. I am a fangirl of the World's Master Map Geek. 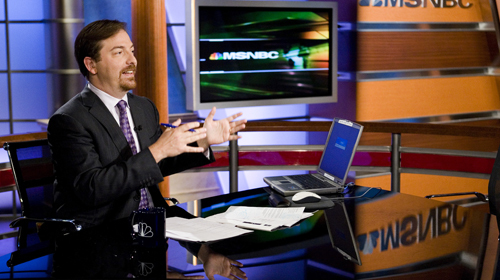 1:14 p.m. For those who are uninformed, Chuck Todd is the Political Director for NBC and a sometime host on MSNBC. Pure Luck need not worry that I have lost my head over Chuck Todd's reddish goatee. It's all about his steel-trap mind. And the way he moves the states around on his nifty toss-up tool. Also, if he has a bias, I can't figure it out, and I like that. 1:38 p.m. My neighbor invited me to an Election Night party, but I promise I won't disappear from blogging for the whole evening. Meanwhile, I'm making brownies to take with me, in part because Phantom Scribbler recommended making brownies as a hedge against Election Anxiety Disorder. 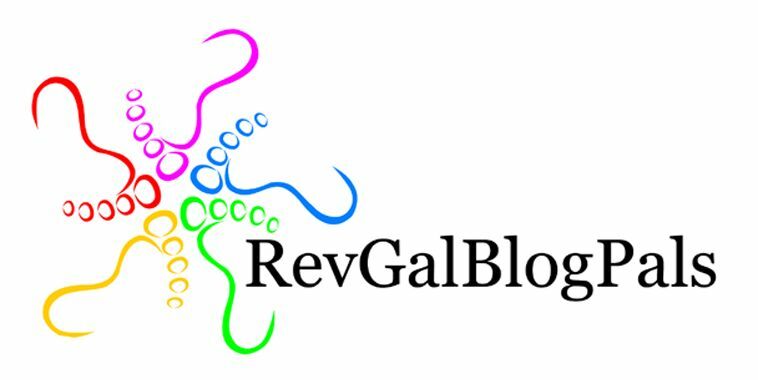 She has an awesome post up today; if you don't know her blog, I hope you'll go read it. 2:17 p.m. Brownies are out of the oven and cooling. I'm wearing my Obama necklace, a gift from the multi-talented St. Casserole. Soon I will leave to pick up Light Princess and head to the polls! More later. 3:02 p.m. I voted!!! The polling booths at our precinct were full, but the line was fairly short. Light Princess squeezed into the booth with me and straightened me out on the referendum language when I had a sudden moment of confusion about sin taxes and casinos (two separate items, as it happens). I grew up in a very segregated place and time. Casting a vote for an African-American, with cautious optimism that many others have done and will do the same today, feels historic to me. I left Temple Beth El somewhat giddy. LP has a voice lesson, so I'll be back later. been a hit at school.We're back from the voice lesson. I filled my gas tank for under $40 for the first time in memory, amazing. And I stopped at Starbucks for my free cup of coffee (decaf at this hour). Rehema Ellis on MSNBC tells me that in Chesapeake, VA, some voters waited 6 HOURS to vote. Wow. I remember waiting close to an hour to vote on the anti-discrimination issue a few years ago, but that's the longest I've seen it here. We use the optical scan machines that had trouble dealing with damp/wet ballots in Virginia today. What kind of machine/ballot did you use? I could see Pure Luck's name on the list above mine with the notation "AV" for Absentee Voter. I felt relieved to know his vote counted. Wish I could have asked them to look up the boys! 4:58 p.m. Lauralew mentioned working as a poll-sitter. My precinct has changed polling places a number of times over the years, but I've never seen an election day that didn't include Now-Retired Reference Librarian. When I voted at 2:45 p.m., the other poll workers looked a bit frayed, though they were pleasant. N-RRL looked fresh and excited! It must be a big day for her. 5:16 p.m. A precious Obama volunteer named Ashley just came to our door to Get Out the Vote and told me that MSNBC is calling our Vacationland Senate Race a "flip flop," by which I feel sure she meant a toss-up. I am seeking independent verification. From Chuck Todd, of course. 6:22 p.m. If you are one of the people wondering what Barack Obama meant when he said his faith in America had been vindicated, you might want to read this column in the Washington Post by Eugene Robinson. Just because Obama did not focus on race in the campaign doesn't mean this day doesn't have significant impact on our understanding of how people of all races interact in our country. 7:02 p.m. Vermont blue, Kentucky red. These are not surprises. I want to know about my home state of Virginia. Come on, results! What state are you most eager to hear about tonight? I always expect Virginia to break my heart, because that's what it did on Election Night in 1972. My father had served one term in the U.S. Senate, and I felt certain he would be re-elected. Who wouldn't want my daddy to be Senator? My brother and I stayed home with our Grandma Spong, watching the results on a little black and white TV, while our parents went to Daddy's election night party at the Governor Dinwiddie Hotel. Maybe he knew how it would turn out, but if so, no one thought of telling the 11-year-old girl and the 9-year-old boy waiting so anxiously. My grandmother knew, I feel sure of it. She wouldn't watch the TV with us, but stayed on a little chaise lounge downstairs, in a darkened hallway, clutching her transistor radio in its red leatherette case, legs covered with a crocheted afghan you might find at an old-fashioned church fair. I could not understand the numbers. It was a three way race, but I hadn't heard much about the Independent candidate. I understood Republicans. One had rejected my cheerful campaigning overtures at the polls just that morning. Somehow I concluded that the votes of the people who voted for the Independent really belonged to my father. I remember bargaining with the numbers, saying it wasn't over until all the votes were counted. My father conceded fairly early; it must have been early. I remember coming down the stairs and seeing my parents standing just inside the front door, still in their coats on that chilly evening. My father looked resigned, my mother manically cheerful, probably hoping a smile on her face would reassure us that somehow we would all get through this. I hated her for looking so pleased. 8:10 p.m. Woohoo! Pennsylvania!! Not to mention Maine, New Hampshire, Massachusetts, Connecticut, Delaware, New Jersey, DC, Maryland and Illinois. We're going across the street to visit with our new church-planting, blogging Methodist neighbors. Back in a little while. 9:30 p.m. We're back! While we were across the street, lots happened. It was good to be with some like-minded friends. Can anyone explain why MSNBC would have T.D. Jakes as a commentator? And have you watched public TV at all? Is Judy Woodward okay? 9:32 p.m. Molly says, "Wroo wroo! I knew it would all work out! Bernese Mountain Dogs for Obama!!" 9:56 p.m. In case you didn't know, there's an election special on Comedy Central at 10 p.m. Eastern. *I'll* be watching. Grant Park–will that be an amazing scene? Texas, by the way, went to McCain. It's 200-124 in Electoral Votes at the moment. Keith Olbermann did some pretty simple math a little while ago to explain the obvious path, or one clear path, to 270, but I think we're going further, friends. I think we're going further! Actually, I believe that refers to the popular vote. Carter won 50.1% of the popular vote. Clinton was in three way races (both times? having a lapse of history here). 10:25 p.m. Colbert: "Anything could happen. Meat could grown on trees." 10:49 p.m. Coolest thing of the evening thus far: will.i.am appears with Anderson Cooper via hologram. What the heck? BARACK OBAMA IS PROJECTED TO BE THE NEXT PRESIDENT OF THE UNITED STATES!!! Listen to that crowd in Grant Park!!! 11:18 p.m. Text from #1 Son: "This is history. Oh my God." 11:30 p.m. I wish McCain's supporters (an invited crowd, right?) could be as gracious as he is. 11:42 p.m. I think what #1 Son said bears repeating: "This is history." Will we remember where we were and who we were with, as we do when tragedy strikes? I hope I hold the thoughts of this evening, the anxiety and the anticipation and the relief and the joy, in my heart and mind for the rest of my life. "I love the symmetry that the same state that gave us Republican Abraham Lincoln is the state that gave us Democrat Barack Obama." Thanks for sharing all this with me, friends. It was a great speech and a great night. Trade you some apple spice cake for some brownies! Glad you’re up & running again, Songbird! I hope to check in frequently today. Just wanted to report that when I Baracked the Vote this morning, my polling place here in Illinois was busier than I’ve ever seen it. Ours is a very multicultural neighborhood, so it was great to see a solid representation of all ethnicities. An election judge I know said, “If you think it’s busy now, you should have seen it when we opened – it was packed!” As it was, it took at least 30 minutes for me to get through the lines. I’m now wearing my Obama HOPE t-shirt with my “I voted” sticker on it. Pictures of the Obama necklace, please! when you vote, please share your story of voting at my blog!! i’m collecting voting stories today! This is soooo cool. Heck, who needs MSNBC, we’ll just tune into Songbird Central! I love Chuck Todd too, but I’ll share. Go you! Yeah! the liveblogging begins! I’ve gotten way more done than I anticipated, thanks to many meetings. Makes the waiting less nerve wracking. LOVE that picture of you!! and thanks for pointing me to PS’ blog. I felt overwhelmed voting on this historic day, too. I feel full of hope and ready. I’m making election brownies and two kinds of cookies. I need something to do besides pacing and worrying. There’s a party tonight so the sweets will go with me. Mary Beth almost always beats me to what I was going to say. Great picture, and I’ve never been to PS–will bookmark her. Wicked humor. I voted a couple of weeks ago, but I did pollsit today. I’d do it again–it was fun. Tomorrow I’ll blog about the experience. In the meantime, I’ll read your live blog! Down here in McCain land, I am nervous. I Baracked the vote 2 weeks ago and cried tears of joy when I left. Just sent Miss Teen to the grocery for cookie dough. I have been jumping out of my skin all day. I feel good right now. I’m sending you some of that. Why were the ballots wet in the first place? I know Virginia is hot and humid, but in November? I think maybe we use the same kind as you, and they seemed to be working fine — even caught a couple of people who had been confused by the write-in line below Obama’s name and “double-voted.” They got to get new ballots and fix their mistake. I think both were from one of the group homes or other supportive living environments that are fairly prevalent in my neighborhood. That’s something nice about living here — a new supported=living place opened a few blocks away last year and I didn’t hear any complaints from the neighborhood. In Minneapolis, there was a lot of concern in certain neighborhoods that felt they had too many group homes, etc. And it was probably true, because they were poor neighborhoods. Ours is quite diverse with everyone from movers and shakers in near-mansions to group homes to renters of every stripe, as well as more modest homes like mine. Auntie Knickers, the ballots were wet because voters came in out of the rain. I guess it was violently stormy there this morning. They found a way to dry off the ballots and scan them later. And I love your story about the acceptance of diversity in your neighborhood! Yay!!! For voting day treats, for adorable Obama necklaces, for you looking Fab – you – lous!!! On the New Orleans news they just showed a 97 year old first time African American woman voter.! now i’m headed out to dinner. but will check in later… if our little party doesn’t get out of hand itself… ya never know. it’s me, and a bunch of priests… hwat a hoot! i just don’t think i can look at pollsters and projections for a while yet. the polling places don’t even close in my state for another 3.5 hours. also, the dogs tell me i am tardy with the feeding already. hotcup, when I got my free Starbucks this afternoon, Light Princess had a Toffee Nut Steamer, which was a big hit. Sorry about the spillage! Kathy a., mine think it is ALWAYS dinnertime. I love this blog. Way cool. To keep from jumping out of my skin I’m knitting baby booties. I hope that the babies wearing them will know that I made them on the night Barack was elected President. g_g, what a great idea! Your childhood election night stories always break my heart, Songbird. Thanks, Phantom. I figured I had told it before, I hope not too many times. Yeah, me, too (what Phantom said). I WISH I had some chocolate, but maybe it’s better if I don’t. Our ballots are bubble sheets read by a scanner. Seem pretty fool proof to me. My friend in Chicago said that the ballot there is 16 PAGES! Yikes. I’m back! I’m back! from my doctor appt and body work appt. Poor spouse is in bed with a bad headache and watching Tivo’s sitcoms. I feel bad for him. Really, I do. He is very distressed. 🙂 Thanks for letting me squeal that! I hadn’t heard your childhood election night story before, so I’m glad you shared it again. I’m so nervous. I know I probably don’t need to be, but I am. It’s not over yet, but boy oh boy! It’s looking good. Ruby, if you say so, I can feel good, too!! Are you serious? TD Jakes? nice to stop in here once in awhile. but I’m worried that expectations are going to be unrealistically high. not easy for the first african-american president. he will need our prayers. M: Try checking out NY Times site. They are slower to call states but have good visuals and also show the house and senate seats lost and won. Wow. I am so tired but just don’t know if I DARE go to bed! NPR is saying that if things hold Obama will be the first Democrat since Jimmy Carter to take more than 50% (I think of the electoral votes but I’m not sure). We’re on the way! Woo-hoo!! Seriously, Becky, just no way! Finally turned the TV on, after 4 straight episodes of the Vicar of Dibley trying to calm my nerves. Mary Beth, my spouse and your spouse are going to have to have a sad party together. I’m trying not to gloat. He’s ignoring the television all together now. just turned the tv on after 4 straight episodes of the vicar of dibley to calm my nerves. I was watching the Colbert/Stewart show and they announced it…”but this is Comedy Central,” I thought, and switched to the news. “Obama Elected President” it says. Big strides have been made tonight in changing of America. For the first time in 8 years, I am proud of my country! My cielo and I are passing the kleenex and toasting with vodka (her) and beer (me). mccain concedes. THAT’S what I’ve been waiting for! I called Sisterfilms to say EEEEEEEEEE! too! So far, not everybody/thing I voted for has won, but Obama makes up for it. Still worrying about Prop. 8 in California though. MCCain was very gracious and classy in concession. Will his supporters heed his call and continue his graciousness? I’m so grateful to have been with you! With all of you. Thanks for hosting this party, Songbird! I’m off to bed. Tomorrow, we wake to the first day of the rest of our lives. New possibilities. New hopes. New joys. Thanks be to God! mccain gave a classy concession speech. redeemed him a little bit, for me. I hope I hold the thoughts of this evening, the anxiety and the anticipation and the relief and the joy, in my heart and mind for the rest of my life. Chiming in a bit late here…I think the booing during concession speeches is just a part of the whole thing. I remember Kerry’s supporters booing when he congratulated Bush during his concession speech. This McCain supporter, though disappointed, is not booing and celebrating the history that was made tonight. I trust that God has given us the right leader for this time, and I will be praying for him and his family. At last. At long last. Not sure, Mags. I wonder if it’s in the range for an automatic recount?